The sharp styling of Chill bathroom collection makes this the hottest choice for the coolest bathroom. If you are looking to create an ultra trendy contemporary space, then chill is the one. If you are looking to create an ultra trendy contemporary space, then chill is the one. This basin mixer elegantly combines the smooth flatness of the exaggerated spout with rounded riser and squared of handles. As well as outer beauty this tap posses inner greatness with its ceramic disc cartridge that allows for ease of use and reliable control. 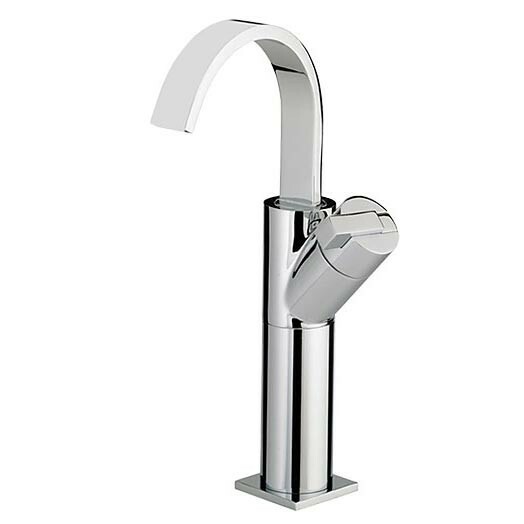 The Chill Tall monobloc basin mixer is manufactured in solid brass when is then chrome plated. 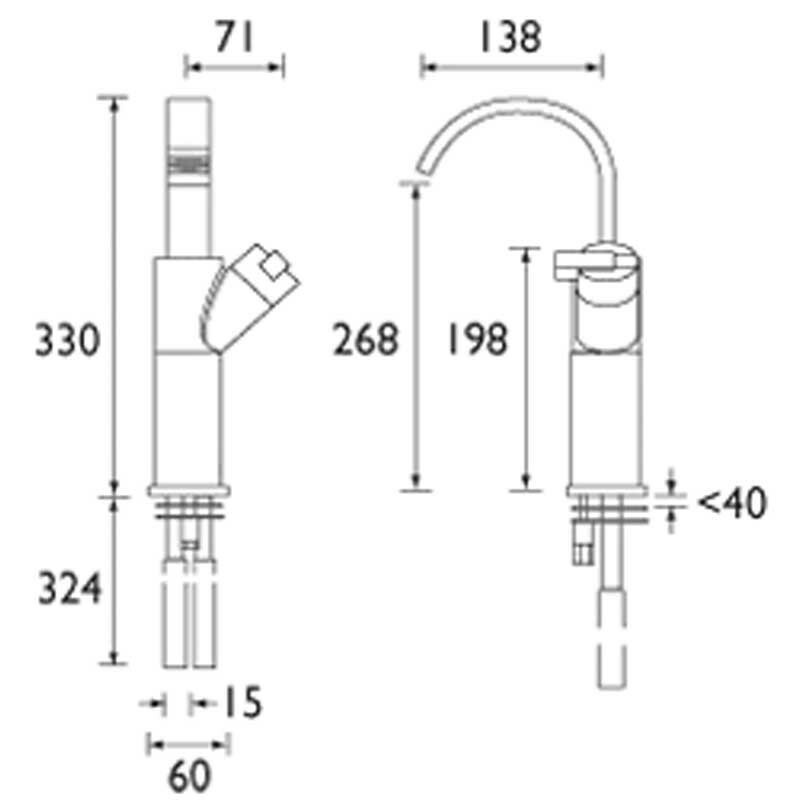 It is ideal for use with freestanding counter top basins.